Real Estate, etc... by Eric Michael: ActiveRain vs WordPress. Go! Okay, earlier today, I found out that ActiveRain increased their RainMaker plan to $89/month for all new AR members. Anyone who was a RainMaker already is "Grandfathered in" at their regular price of $39/month, unless you were "Grandfathered in" before the $39/month, then it's whatever it was. ActiveRain is Great! Referrals - Google Juice - 200,000 members, most willing to help out fellow real estate practitioners - Alan May - Melissa Mckinney - Paul Slaybaugh, etc. WordPress is the Way to Go! Free (for WP.org) - Hosting is considerably less - Tons of Plug-ins for your business - Plus lots of "WordPress experts" that are more than willing to help you out, for the right price. I have an ActiveRain RainMaker account now, and I really like the community. I also have a WordPress.org blog, but I don't have it up-and-running, yet. So, the question is, which one is Better and WHY? Eric, You're asking a question I'd like to hear more on. Clicking Suggest so maybe more viz. You can post on Active Rain and it typically will show up on Google in minutes...that's the plus. But if the consumer starts poking around...you can't keep them on your site and they could pick someone else they like better to follow or even contact for listing or buying. There is lots of competition for various cities on AR. So, I am a Word Press gal...but I do love Active Rain people, agent to agent referrals and content...just not for generating my leads from consumers. That is Word Press' job for me. Eric~ Woowsers! Someone did mention at the office today about this and I said say it is not so! Boy am I glad that I am a member already! I like the fact that this is such a easy forum to get the job done! I think AR is better but that is just where I am comfortable and I know it works! So is it worth it yes...But in todays times when people are trying to cut back I am not sure it was a good time to take the plunge with pricing! Thanks for the mention you are too sweet! BLiz, thanks. I was hoping to see a lot myself. Jeremy, me too. Hope we see some action. CIndy, you said a lot. Kinda the basics of what I'm hearing lately. Melissa, Thanks. I'm hoping to read a Lot about both points of view. Daniel, maybe, but I'm trusting our fellow real estate professionals to be honest about it. 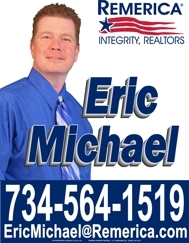 Eric, Since I am working on increasing my agent to agent referrals (considering most of our buyers are coming from another state) I like AR a lot - the bonus was the great tips and advice offered and shared (not to mention the support we offer each other)... The Google juice and the increase in traffic to our website has also been fantastic - in 4 months, received 4 inquiries, gave a referral and received one. So AR has worked very well for me. Wordpress - We just literally activated our Wordpress Blog (it is mostly Localism), so it is untested - but I am glad you raised the discussion - hoping for some substantial wordpress feedback as far as growing one's business - will check back. I did not know about the $89/month - that is high. Hit the button, need this to get featured so we can see some more responses. Isn't this the hot topic of late! Watching closely to see what input others have.....though I'm leaning heavily toward WP for public and AR for member only. Ellie, thanks for the "click". I think they can both exist together. I hope nobody thinks I'm leaning one way or the other. Amanda, that's what a lot of people are thinking. I heard this on Facebook today, and was SHOCKED! I would not pay 89.00 for anything per month. Seriously. It will be interesting to see how it grows with that price. I spoke at a Coldwell Banker Weir Manual office in Northville last week, and whenever I have the opportunity to speak I encourage everyone to start on Activerain. I told them it was 39.00. Even at that...many felt it was too high. I love the AR community here, it has definitely helped my career, but if it had been 39.00 back when I first joined I would not have. Wonder if this is because of Market Leader owning controling interest now. Hi Eric, I wouldn't pay $89.00 either. Heck, I don't think I should have to pay the $39.00 either. I blog almost every day for almost a year and a half and should have been grandfathered in. I suggested as well since I want to see what others have to say. Wade, sorry to break the news. Maybe if there's enough outcry, they'll let people who were members before the decision was made (even free ones) in on the $39/month? Missy, I'd only pay $89/month for unlimited massages. I think AR is great, I just don't know if it's $89 great. Plus, I'm really curious about WP. Jackie, thanks! I almost think there should be a date set, with us all knowing about it, before prices increase. Imagine how many people on the fence would've jumped in for $39. Active Rain is a great place to learn, to network, to use as a sounding board, to meet awesome people from all over... gives good google juice... and I have met some great people and have made some great friends... I have gotten business from blogging and from a few realtors on AR. Outside blog that is my own... I control the content.. I have built my name up and my outside side is getting leads quicker than AR now.. it's about the quality of information. And once the site is built, it's cheap overall.. and yes, it's mine. Overall.. I am not going to get into the politics of AR adn the higher price. From a business sense, I think they will lose more than they will gain. I know things have changed from within AR and maybe some of these sponsors are pulling the strings now. But as Missy said, I wouldn't pay the $89... no way... and I am not even sure about the $39. Anyhoo.... would be interesting to see if Bob or anyone else comes in here and gives some input... just curious, but I am not going to lose any sleep over it.. I have bled AR for 4 yrs and know love can't last forever... I would hope it could... but this is a major change.. It's been a good experience to be here and I'm grandfathered (grandmothered? :), so I have no complaints. However, I can see easily why the $89 monthly fee is problematic for a lot of us especially with our industry being in the shape it's in. You raise some great issues and I have also leaned on the button, as I would love to traverse the varied opinions and experiences. I'm not a WP person as of yet, but certainly exploring all avenues. Oh hush, they are completely different venues. Active Rain is a place where you get a 24/7 sales meeting, a place to see what other agents do well and fail at, and a place to test ideas. Most notably, you get a place to craft messages and see how they work. A personal or business website, whether on wp or any other platform, is where you promote your business. Different platforms for differnt roles. I have my own site and I'm THANKFULLY Grandmothered in, with Yolanda, lol. I intend to have both, always. If AR does increase the orginal members to $89, I'll bow out then. That's ridiculous! I've had time to digest the new info...I am shocked that they are wanting to more than double the fees to paying members. I just referred another agent yesterday, thinking it was $39 per month. I know for a fact he won't pay $89. That's just too darned high. I came back to echo Leslie thoughts kind of...if you like getting comments and hearing opinions on your posts...AR does that. It is rare that a consumer comments on a WP post unless you are like Seth Godin or somebody like that...but they do call and say they have been reading. So WP can be lonely. I got kicked out out of the grandfathered Rainmaker club for not posting for 90 days (and I didn't get the warning email). I thought $39 per month was too much to go back so I haven't paid that, especially with all the outages and slow downs ect.. But $89 a month, NO WAY! The short version from what I take is that on your WP platform, you know your charges will not go up and up. Someone (The newbie) must really trust the person who led you to AR to give $89/month to try. So with $89/month - Can they expect less down time? I missed that there was a change. $89? really? I can show up on my WordPress.org blog as fast as I can on ActiveRain. I use my two ActiveRain outside blogs differntly than I use my WordPress blog. Jeff, I found AR on my own somehow, and that's probably why I didn't jump right in. I didn't have the guidance of people who've been there-done that, but I'm learning, slowly. Yolanda, $89 is a tough pill to swallow for something that takes time. Tish, thanks. The more I read, the more I learn about using Both. Leslie, I know they're different, I just didn't realize How different. I'm not dogging AR, I'm just exploring them both. Elizabeth, I'm semi-grandfathered in. My costs are locked at what they are, and was told that they'd stay there forever. CIndy, I like the feedback we get on ActiveRain and the learning from others. Good stuff. Justin, wow. That would turn me off some, too. Loreena, you said a lot in just a couple of sentences. Thanks. Maureen, I always thought that AR's google juice was the main reason to become a RainMaker. Guess not? Bob, thanks for coming by. OOhhh...suggested this one and am following the comment thread. I'm wanting to add WP this year so am really in the beginnng research phase. Thanks for being bold enough to post what is sure to be a controversial issue. Eric, you should have been on the Rain Radio call where Bob asked my why I am still her after 3.5 years and do 90% of my blogging here. Those like me who are grandfathered in and are ambassadors do not pay a monthly fee for our blogs here. So some of what I think may not always be relative to someone who is going to pay $89 per month. It depends on how much money you are planning to make, now that it is out in the open I can repeat it, in 2008 we made over $200,000 from JUST our active rain blog in commissions for LISTINGS- not buyers, SOLD LISTINGS, listings we got from our AR blog. And that is just one part of our business and one part of our marketing strategy. And that is not even talking about the rest of the years we have been on Active Rain. So my question is how much are you making from Active Rain? And how much is your projected Income from ActiVe rain? Also, how much are you spending on your direct mail campaigns, websites, google adwords? How much do you spend on newspaper marketing, press releases and photography? Within the first six months on AR- we got over 6 listings and 3 buyers from our AR blog. Within 7 months we had a cash buyer who closed in two weeks on a 1.6 M house from one post I wrote. Could I duplicate this on wordpress, maybe. It depends on the regional market. But we would not be getting the MANY referrals we get from agents on AR- we get at least 2 referrals a week here- we can not always help all their clients, but that is not the point. So if you sell one 1 million dollar house on one side and get let's say 30,000 from that, do the math. I don't agree with Leslie ( does that surprise you:)) AR is a money maker for us. A big one! AR is a total write off on your taxes. Don't you need write offs? Are you running a business or are you an employee? If you are running a business then you must invest money and time into your business if you ever want to make money in real estate. Why are you in this business? To increase your earnings? To be your own boss? TO have financial freedom one day? Or are you here to be happy with $20K to $40K per year. I am being very blunt here, comments like I would never pay $89 for AR- based on what?? Yes, if you treat AR like a sales meeting than maybe $89 is not worth it. But if you want agent to agent referrals and you want to really make some money, than this is the fastest way to do it with a very fast learning curve. Loreena- Wordpress charges could go up or they could go down too. There is nothing that says that once the government gets involved and requires hosting companies to do whatever they decide to regulate them how or with, that the hosting companies don't pass those fees along to us. So we can't say that is the case. Also, Wordpress can get quite pricey if you are factoring in your IDX monthly fees, your plug ins, yes., there are a lot of free plug ins but there are some SUPER DUPER WAY COOL plug ins that cost money. You can quite expensive on a word press and I have not problems with that because there are really cool conversion plug ins. No Katerina, not you. Something about the darn blizzard outside is causing internet service issues. I wrote a six paragraph answer to Katerina that I lost. Will now start over. Katerina, it's your politics, not your business or technical knowledge I disagree with, so let me explain. My comment to Eric is part of an on-going chat on FB. I get the sense that he is newer to real estate, or at least newer to online marketing in real estate...so my comment to him is part of that conversation. I take exception to the AR lore that "One post can make you $1000s". It is never (or shouldn't be) a single point of contact with a potential client that causes him to contact and hire you. An agent should be hired on his track record, ethics, and commitment to the client's success. All of this, Katerina, is what you personally create in your blogging. Your tremendous investment in your personal brand and your record of client service is what has made you successful. I had a call yesterday off a postcard mailing. The lady grilled me for an hour about the issues I bring up on the card (Do you have questions, I have answers. What do buyers want, when to list, etc.). I have an appointment to see her $1 million property on Saturday. Did one post card create this lead? Of course not. This older lady may not remember everything she's seen from me, but I'll bet she's had 20 (maybe more) mail pieces from me in the past 5 years. She sees my signs, we have mutual acquaintances, and so on. She called her collective view of me, not the one postcard me. This mailing experience is like your blogging, Katerina. It is never a single post that gives you a lead, it's your overall presence and credibility online. Your Katerina brand, your presence, happens to both part of an online trade community called Active Rain. A single blog post, a single open house, a single mailing, a single phone call will almost never get you a paycheck. The integration of them all, conducted many, many times, is what creates your brand and reputation. So my point to Eric is that wp is simply a technology framework for building a completely functional agent site. AR is a community that offers a pretty bare bones place to blog. They cross paths, but they are different. I applaud you, Katerina, and want to give credit where credit is due. (Just don't tell anyone I said so, I'd hate to ruin my crabby reputation). Kim, thanks for the suggest. I've been told by Many that they suggested also, but to no avail? I'm going home, right thru the heart of Death Storm '11. I'll read and comment on the rest when I can. Eric, with all this brilliance here....? Read Charita's post. Lose the colored fonts. Eric - Obviously, there are many varied opinons here on this subject. I can not comment specifically on your post, because I don't have Wordpress. I use AR exclusively for blogging. It works great for me! I haven't seen a need to change. In fact, I received a comment this week from 'someone' outside of the AR community...he just moved to my area and he found my blog and he just wanted to tell me likes the 'Fun Things To Do' posts that I post each week. WOW, a comment from the general public!! !...and it was all because of blogging on AR. Well, there's my 2 cents! Had to comment. I used this post for one of my first called shots. Who wants the over/under on whether it will get featured. I'm taking the under. Let's go for the record number of posts in a nonfeature. I wish I would of recruited more people when it was free. All those points and the downline. It really removes my incentive completely for becoming an Ambassador. Missy Caulk's comment - I wouldn't pay $89 for anything. LOL. I wouldn't for this. If you have this much money burning a hole in your pocket might I suggest other things. Constant Contact - $15 a month. Email newsletter for everyone with tracking. Send Out Cards - Send approximately 60 personalized cards a month for the same price. More can be done depending on customization for the same price. Market Leader - I think you could buy it at this price. It should do better on ROI then AR. Count me for 100% WordPress. 100% control - Price won't go up. If it does you can move your platform to a different host. The look and feel - This should crush your AR blog. Now for the true cost of WordPress. I use GoDaddy for my hosting. Not sure what it costs per month I'm guessing around $8. Your cost of .com domain around 9 bucks a year. I buy domain names like some real estate agents buy magnets. I have around 25 domain names. This week I coordinated with GoDaddy to get them all pointed to the right place. I think I'll have around 8-9 permanent sites with others just pointing to one of those big sites. All of those domain sites are covered under my $8 a month hosting plan. Here is the one secret cost of a WordPress site. I'm using IDX and that runs me $40 a month I believe. Where is your IDX? You do have an IDX don't you? "I always thought that AR's google juice was the main reason to become a RainMaker. Guess not?" "I also have a WordPress.org blog, but I don't have it up-and-running, yet"
How long is it going to take to get it up and running? Will you put your dollars in the right place to get it up and running where it can produce business for you? Free is not always free. The hosting is minimal. Will you hire someone to make it pretty for you? Will you get the content you need up without comments, challenges, encouragement etc. Some do. Most WP real estate blogs are not that successful. I would not give up my ActiveRain Outside blogs because Google likes my WordPress blog. In fact I think I am going to add a third ActiveRain Outside blog this spring. I have thought about doing it on WordPress instead but when I think about it it is just easier to pay $20 a month here. Since my two Outside blogs are not up today I am gritting my teeth .... but I still believe a third AR Outside blog is in my future. When there is a problem with my WordPress site when I need to hire someone (two crisises since 2007) it has cost me more than the cost of an AR Outside blog for a year. Katerina, I'll see if I can find that episode of Rain Radio. I understand what you're saying. I really do. But I was just asking the question of "what's better, AR or WP, and why?" My thought process was more "I love AR, it's google juice, learning from others, and potential for friendship and referrals, BUT I've been reading a lot of other people (not on AR) saying that WP is the Same in indexing, and the cost is a lot less". I'm just looking for advice, basically. Leslie, I know, I wish I would've stayed, or at least got back online when I was home. Lose the colors? I thought that helped? Denise, I have a WP blog, but haven't used it yet. I'm thinking it's best to use them both. Rhett, I really like the "counter offer". Thanks for the suggest, too. There seemed to be a lot of them, but no feature. I guess I upset someone. Cindy, I think you and I were thinking scarily similar. Plus, most people don't know the value of AR until After they agree to pay the $89. Mike, thanks, but the called shot looks to have been "wasted". I will definitely add IDX to my WP. Maureen, being that it's not up and running yet, I don't know what I don't know. I don't know if I can or can't "make it pretty" and, to be honest, I never even considered problems with the WP blog and that I might need to *gulp* hire someone to fix it/get it running/make it pretty. I can see how the cost of AR could be a lot easier than that. But what about AR "owning" everything we do on here? Any input on that? Leslie, now we all know. The crabbyness is all a sham, isn't it? I don't believe ActiveRain owns everything I write. I have read the terms of service, have you? I can export my content and do semi regularly. Maureen, I haven't, just going by what I've been told or read. I was meaning more like if the site goes down or if you decide to "leave", they have all of your blogs. On WP, if you shut down the site, it's gone. Eric, I think and feel that anyone using the Net for their business sure should not at all handy cap their business by just using one site for folks to find them. With the way the AR site has been acting sure should show folks that is it true. Just yesterday no one in New Hampshire could open the AR site for over 3 hours. I had 6 different organizations call me up to say they did not want me to post about their events on the AR site, and wanted me to post about them on one of my other blogs. I have even been having folks that are regular readers of my blog, calling and asking for me to do more of my blogging on other sites. We sure do need to listen to what the public has to say. Dale, very good points. Thank you. Eric you can take down your ActiveRain blog. A number of founding members did last summer when they got in a snit over missing the word about Re-Grandfathering. I can think of one or two that have their profile up. It's more work than shutting off your blog at the host. I did that a couple of times to my WordPress blog accidently when I was with a new host last year. Maureen, I remember all the fuss about that last year. Not that I plan on leaving AR, but thanks for the info you've provided. Inna, Hi! Looks like you missed the party? How are you? Oh Inna, won't you share your thoughts in public ??? But seriously, $89 is way too much. I hold my nose everytime I pay my $39 (which I think is too much). I already pay more for AR than I do for MLS access. There are definitely pros & cons to WP compared to AR. My WP blog gets indexed almost as quickly as AR does but doesn't seem to show up quite as high in the rankings. I converted an existing website to a WP based blogsite. I don't think I'd have the same ranking if my WP blog wasn't benefitting from the age of my original site. And then you have the community, which you don't have to pay for since you could just post as member's only if you didn't care about the public. Being master of your domain could end up being worth its weight in gold if AR ever decides to go overboard monetizing, or ends up with server issues that makes it unworkable as has happened several times in the past. If it were a choice between WP.org & paying $89/mo for AR I'd say stick with WP. At $39 it's a fair, not spectacular, value but I'd go ahead and set up my own blogsite to give yourself options for the future. Mine costs me about $45/yr +IDX costs. Julia - I am safeguarding what little reputation I have left here:-) That, and my free account. Inna, I've emailed. I haven't seen you around in a while. I almost think that AR thinks that I'm against them in this blog, unfortunately. Julia, everything you said here makes sense. I want to use both, actually. Seems like it could only help. "A blog on WordPress.com, Blogger.com, Posterous, etc... means you're a guest on their site just like you're a guest on Facebook when you set up a fan page or business page. If for some reason they change the rules, the technology, want to place ads on your page/blog or boot your off because you accidentally violated their terms of service... Your blog and all those wonderful backlinks and Google rankings that you've built up could be gone overnight." Aside from all the extra features and design possibilities of a self-hosted WordPress blog, having your own blog on your own web host means you're in full control. For a business blog this is not just an option, it's a smart move. marti, sounds like a smart move, indeed. I'm gonna go back and read the blog you mentioned, too. Thanks! Hello: I think a lot of things are happening, the Ipad and Apple have really "yanked our PC chains". When was the last time you went to an Apple Store? I was leary of 39 bucks a month, for sure Word Press is the way to go, no way even 69 bucks with first month free! The Apple does not support Flash. With all that we have happening Ipad 2 and maybe Ipad 3, your blog needs to be on Word Press. It is overwhelming and I understand, but Apple has a lot of help, free classes etc. Instant is the way of the world. Google is your friend, but AR has been a great friend too. Just that our money is so tight and it is going to get worse with Egypt and Oil. So, that monthly is just too much to pay. you are my muse... I can't stop thinking about this post. I wrote a post inspired by this. Maureen, I'll go check it out. Hope I didn't upset you. Eric, I invited several folks a few days ago, all the time being clueless on the NEW $89 per month cost. Hopefully, this can be rescinded. They just had a revolution in Eqypt... perhaps AR will re-think this new fee structure. I pay monthly as I was not grandfathered in for free. It would seem if AR needed some funds they could come up with a fair price for everyone and stop the various tier and free programs. After all, there is competition and it is wordpress! Emily, I've heard from a couple people that if you have your people Call Them, they'll lower the fee to 59/month. I'm not positive that this is true, but it's what I've been told. Like Real Estate, Everything is Negotiable! Worth a try, eh? Bob Stewart says that $59 if you ask for it is indeed available, but it requires mandatory training, which may not be a bad idea for new members any way. I still think any price hike (even the first one to $39 from $19 is asinine, considering that all the content everyone writes is building the popularity of THIS network, but that's a whole other post maybe some day. PS: Eric - did you get my email? Inna, yes, I did. My mind is a bit scattered lately, but I'll get back to you, most likely tomorrow. Sorry. "Hope I didn't upset you." You did not upset me. I don't care who uses what. There is no skin off my nose. I was upset to read here about NEW RainMakers paying $89, this is where I heard it. I did not believe it was true at first. I thought you were nuts. I did email to verify it. I got a response. The response was a little more vague than Inna's "Bob Stewart says that $59 if you ask for it is indeed available, but it requires mandatory training" but the response I received was that training could make the monthly fee more affordable. Inna wrote: "even the first one to $39 from $19 is asinine" Was RainMaker ever $19? I don't remember that. I must be getting senile. I thought an ActiveRain Outside blogs cost $19 before there was a RainMaker and still cost us (grandfathered folks) $19 a month each. The way I remember it. The first Outside blogs were free but they were botched so would not could not be sold for money. The second generation Outside blogs cost $19. Any ActiveRain member could buy one. Of course WHY? buy one if you were not blogging or just blogging Members Only content? People who were NOT grandfathered on February 16, 2009 at 5 AM PST (or was that 2008?) would pay $39 and that includes AN Outside blog. I don't remember RainMaker ever being priced at $19.... for new members. Free for all from the beginning to February 16, 200somethingorother at 5 AM Pacific time... after that new members, members who had not publicly posted would pay $39 which includes an Outside blog. Actually, the 2 of you should have a meeting of the minds. Originally it was $29/month if my memory serves correct. Then after it being live a few weeks it was changed over to $39/month unless you paid annually. Then you got an annual membership for $349. Maybe it was $29 originally... or for some people it was. Any member accounts that were created before February 16th, 2009, but have NOT yet produced at least a single Blog post will continue to have access to the network and all the tools that they've utitlized up to this point. If those members wish to activate their account so their Blog posts will be viewable to consumers and search engines, they'll be required to sign up for the New Membership Plan at $29 per month. " But Bradedited the post in the summer of 2009 and I can not tell what the edit is. Here's a comment that morning, 2-16-2009 from J. Philip Faranda. Others commented about the price being too high... or that people would not pay that... or threw out what price they thought it should be... but Phil's comment is the first post that tells what he was seeing pricingwise that morning. "I think $29 per month is very high, but I'm not here to make your decisions for you, and I don't advocate for my competition. I guess I am lucky I locked in the $19 when I upgraded this past week, although even that seemed high. On another note, if this is going to become a fee- based platform, please clean up the referral exchange, which is a cesspool of spam and faux postings." The $19 he is talking about is for the Outside blog. Brad did an edit to make it show $39. He just forgot to change the other places. It was 29 in the beginning & $19 for just an Outside Blog. "I thought you were nuts"
I think it should be 29 a month and 239 prepaid for a year never to go up and grandfathered it. Paul, sounds good to me. Paul: Give Bob Stewart an email. I am sure he would be glad to chat with you about it. Karen Ann, I totally agree. I like AR for the REALTOR community, and the posts do show up quickly.....but when i am heading people to me, I want them to see me. I post my info on my wordpress "blog" (my company site) to build content, relevance and recognition in my area. I pay for an annual hosting plan (less than $70 / yr) so I can do as many sites as I like, and I'm only out monthly for the idx tool. I also have an idx plugin that makes the mls listings indexable. John, I'm trying to decide which idx to use. Looks like you have a pretty good set up already running. Thank you for the information. I'm just getting started and trying to decide on the best platfrom to begin. Anyone using a StidioPress WP theme called Winning Agent Pro?